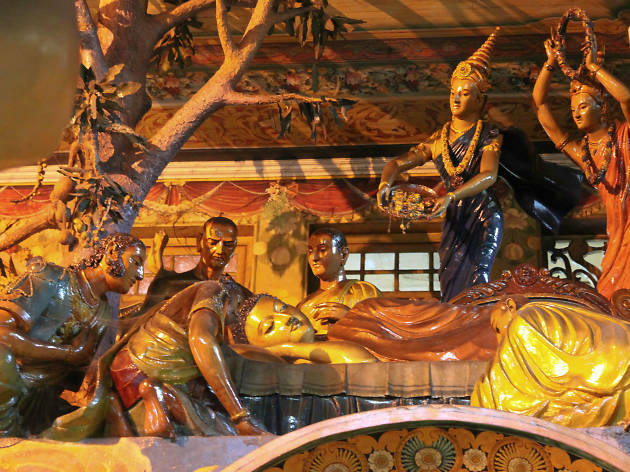 There are plenty of amazing things to do in Colombo, the gateway to Sri Lanka. It's a city on the move with an eye on the future and a foot planted in the past. 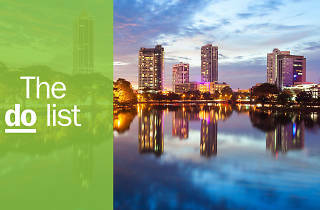 Modern skyscrapers may be flying up at breakneck speed in Sri Lanka’s capital, but Colombo’s heritage as a centre of trade is still evident in the city’s melting pot of religions, cuisines and architectural styles. 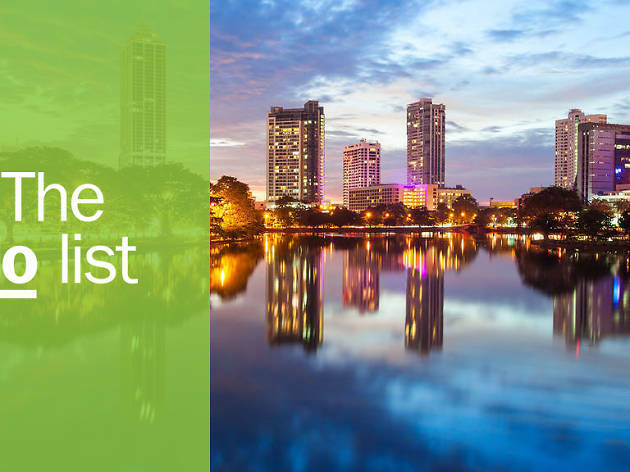 Before heading off to explore the country’s national parks, hill stations, surf breaks and UNESCO World Heritage-listed sites, get to know Colombo’s markets, mosques and museums. What is it? 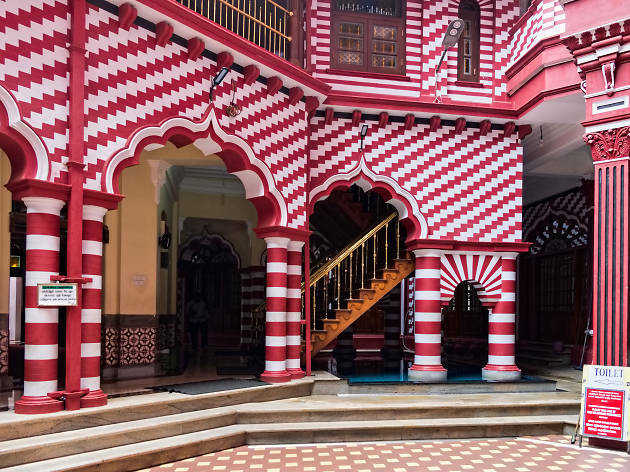 A striking candy-striped mosque located in a busy commercial district. Why go? You’d be hard-pressed to walk past this colourful mosque without doing a double take. Decorated with a bold red and white-striped colour scheme, this place of worship has been turning heads since it was built in the early 1900s. While many visitors stop by to take a quick shot for Instagram, entering the mosque is possible if you wear appropriate, respectful clothing. Plan ahead and wear long sleeves and pants if you want to venture inside. Photograph: Courtesy CC/Flickr/Iris Liu "
What is it? A beachfront urban park favoured by local families. Why go? 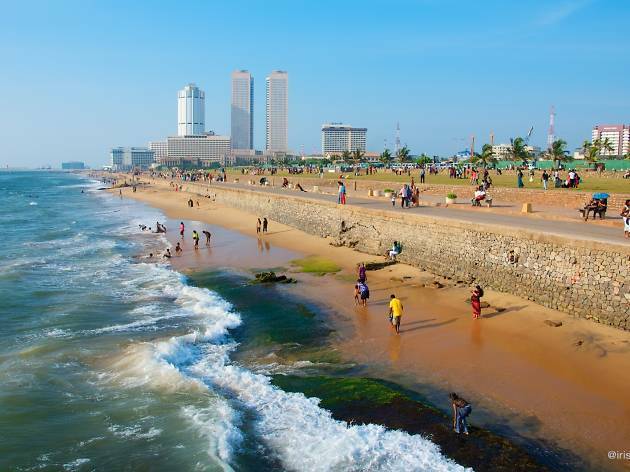 Going for a stroll along the promenade of Galle Face Green is the perfect way to wind down after a hectic day of sightseeing and shopping. Buy some spicy street food fare, watch kids fly kites in the sea breeze and witness a memorable golden sunset before turning in for the night. What is it? 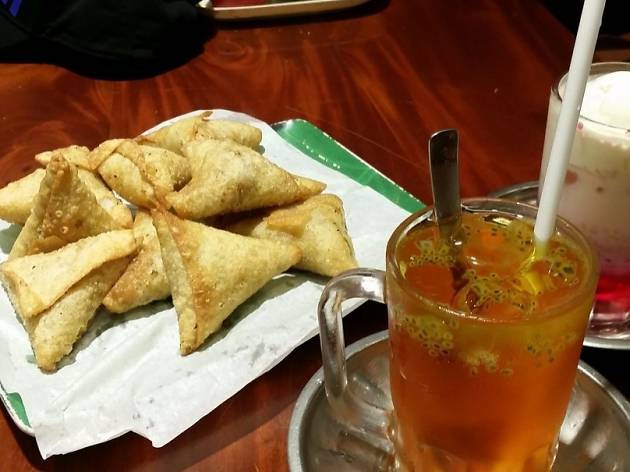 A small-group walking tour that reveals Colombo’s best street eats. Why go? Finding tasty eats can be hit and miss when you’re in an unfamiliar city. Go straight to the source on this food tour led by a local guide who is happy to share insider tips on where to eat and what dishes to try. 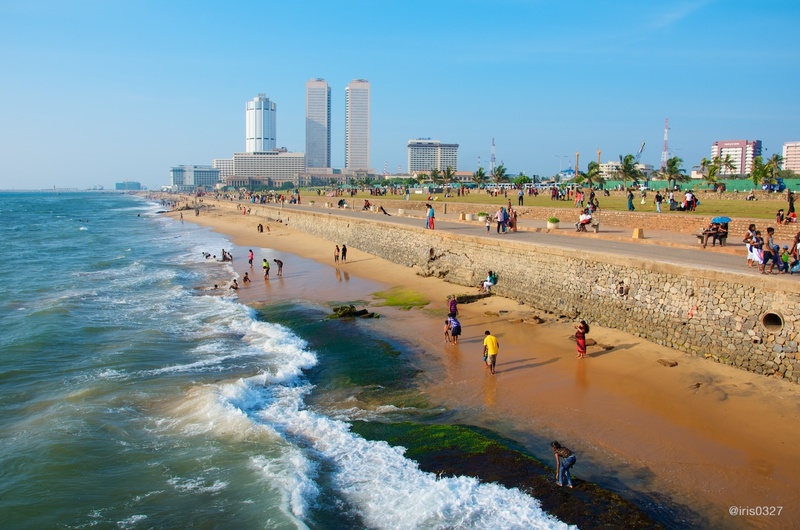 Colombo’s Tamil, Sinhalese, Malay and Muslim cuisines are all covered on this casual tour that gives travellers a great foundation to continue exploring the local culinary landscape at their own pace. What is it? 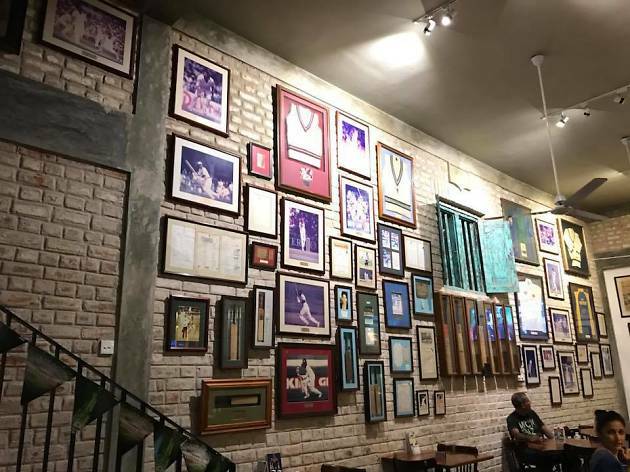 A cricket-themed bar and café that is home to a nifty collection of cricketing memorabilia. Why go? From well-manicured cricket pitches to backstreet alleyways, it’s hard to find a corner of Sri Lanka not impacted by the sound of leather on willow. When in Colombo, cricket fans will love visiting the Cricket Club Café to down a burger and beer while surrounded by cricketing memorabilia. Extra runs on the board for visiting during the World Cup or Ashes. What is it? A massage service run by vision-impaired locals. Why go? Long plane rides, heavy backpacks and hotel mattresses can put a strain on your muscles, so booking in for a massage is an act of self-care savvy travellers indulge in to keep themselves happy and healthy while on the road. 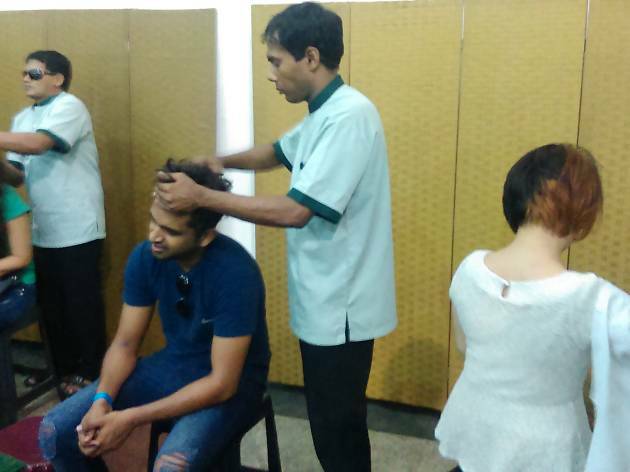 When in Colombo, support locals living with disabilities by enjoying a massage at this centre that trains and employs vision-impaired locals. It’s a win-win situation for everyone involved! What is it? 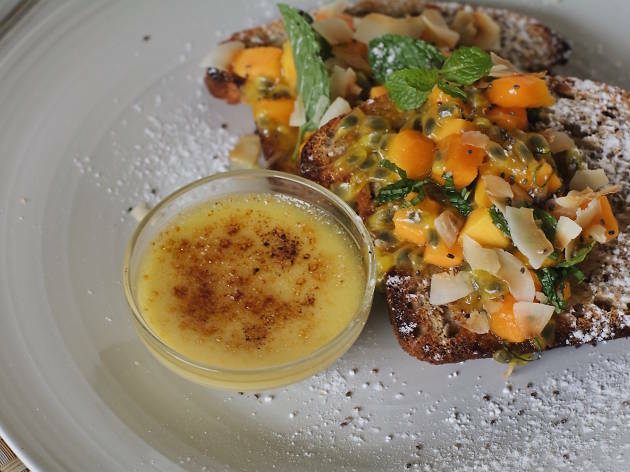 A hip café that serves light dishes made with local and seasonal organic ingredients. Why go? Your health can take a hit while travelling so choose to recharge your batteries with fresh, healthy wholefoods at Café Kumbuk. Cold pressed juices, masala chai, espresso coffee, fruit smoothies, burrito bowls and salads can all be yours, served in a chilled space that looks like its straight out of a home décor magazine. What is it? 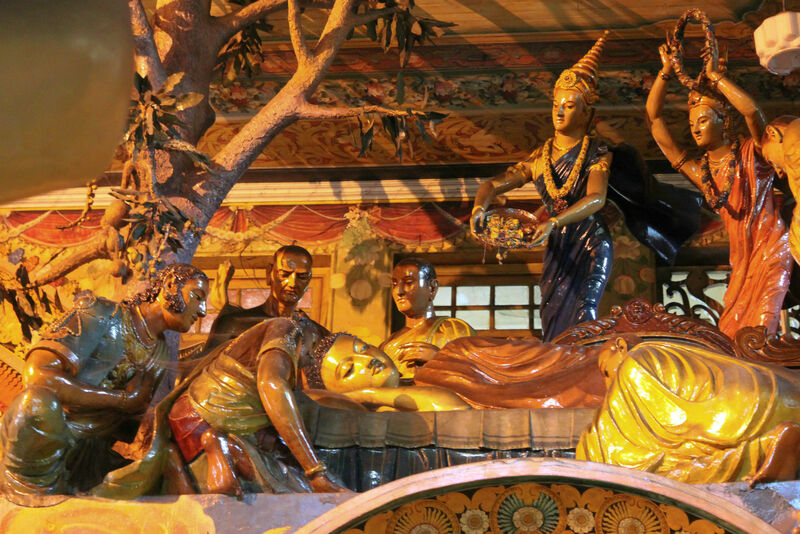 A Buddhist holy place that is also home to a museum and gallery. Why go? Colombo can be a hectic city, so when you need to find your centre simply head to this temple for a moment of contemplation. Admire the hundreds of Buddha statues scattered throughout the complex and steal a moment of peace while admiring the sacred Bodhi Tree – you won’t reach enlightenment after one visit but you’ll probably leave feeling a little lighter. What is it? The well-preserved home of one of Asia’s greatest architects. Why go? 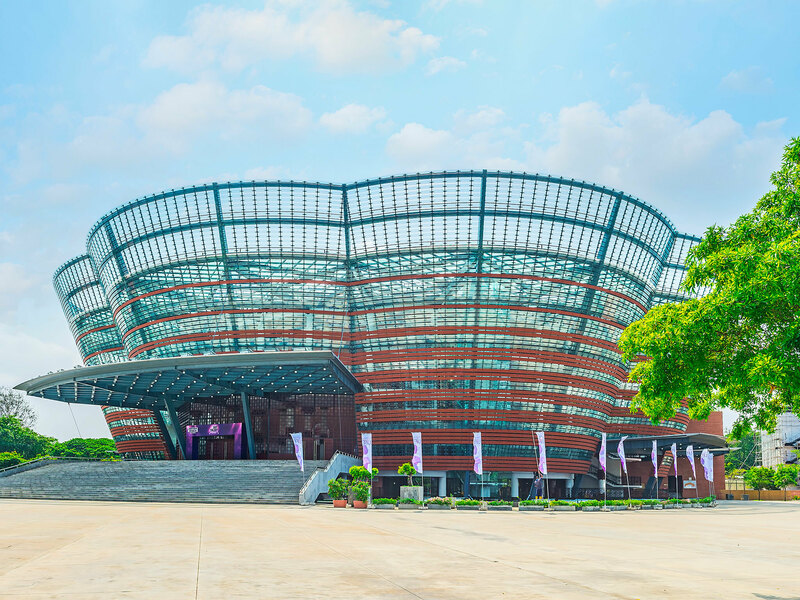 Architecture and design fans will love witnessing the legacy of Sri Lanka’s most influential architect on a tour of his former residence. 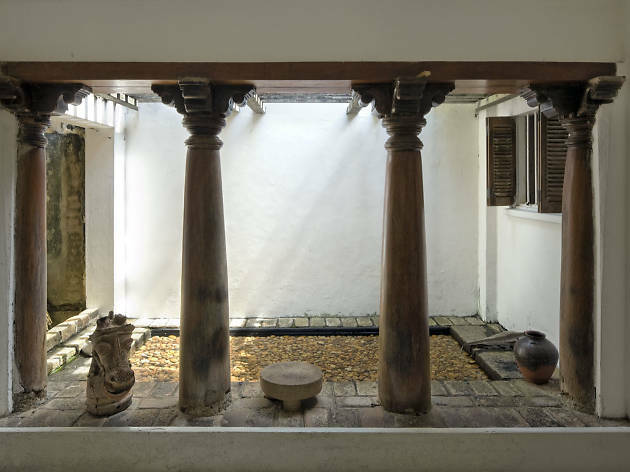 A fine example of Geoffrey Bawa’s vision and talent, this serene residence demonstrates how heritage buildings can be converted into modern, liveable spaces. Home envy is guaranteed! Book an appointment in advance. What is it? 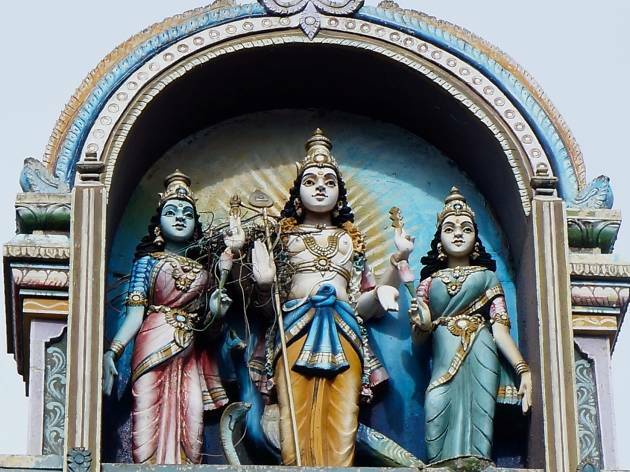 A Hindu temple with a façade and roof adorned with ornate statues of gods and goddesses. Why go? Even if you’re not the temple-hopping type, the uniquely colourful exterior of this one-of-a-kind place of worship is worth a look. Found down a nondescript alley, this temple is a true original. 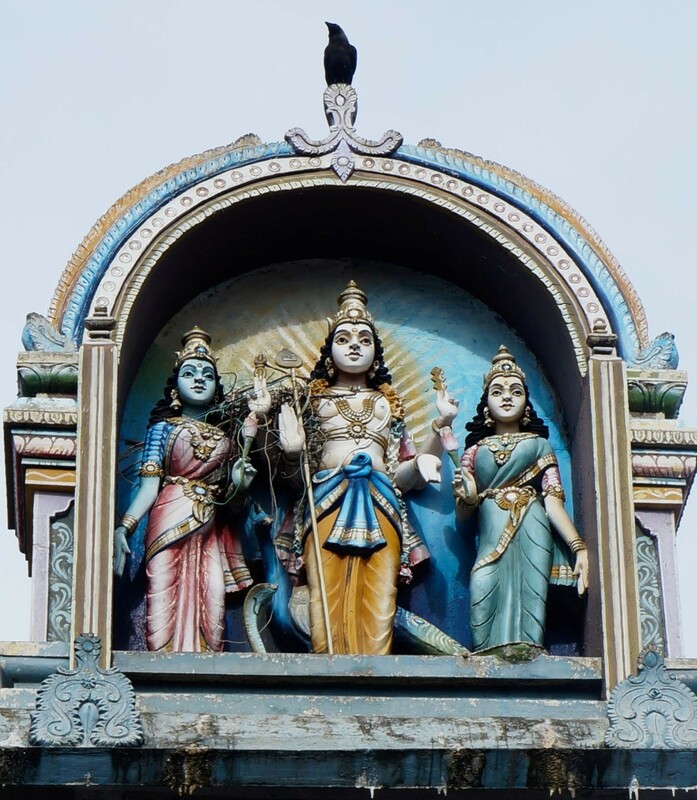 Take time to snap a few pics of the many gods and goddesses that cover the steep roof, then head inside to marvel at the paintings found on the interior walls. What is it? A hot spot for Colombo’s up-and-coming artists. Why go? Acquiring art isn’t just for trust fund travellers. Buying affordable art created by local artists is a great way to support the local artistic community and come home with a one-of-a-kind piece to commemorate your trip. Instead of traversing the city to visit galleries and workshops, visit this street to admire the work of multiple artists housed in one place. Bring some cash if you’re in the market for a new piece to take home with you. What is it? A refined hotel eatery straight out of a period-era movie. Why go? Taking tea and scones on the historic, colonial-era verandah of the Galle Face Hotel might not be on your Sri Lanka travel radar but is well worth a look. 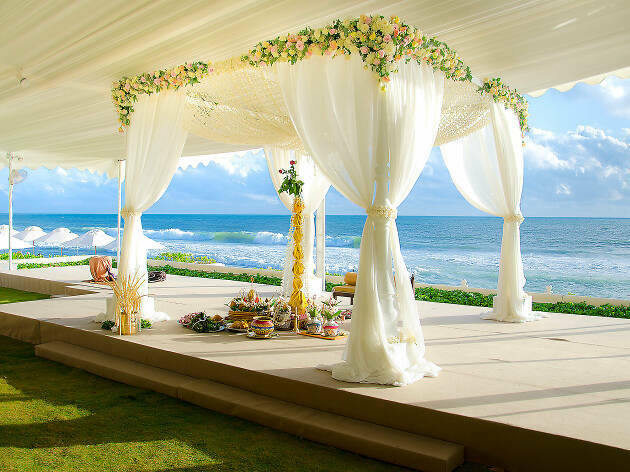 Combining all the good things in life (baked goods, cool breezes and ocean views) an afternoon spent unwinding on this legendary verandah is the perfect way to relax after a long day of sightseeing.